I will be interviewing Jen Doll as if we have our very own talk show for just one special September day. 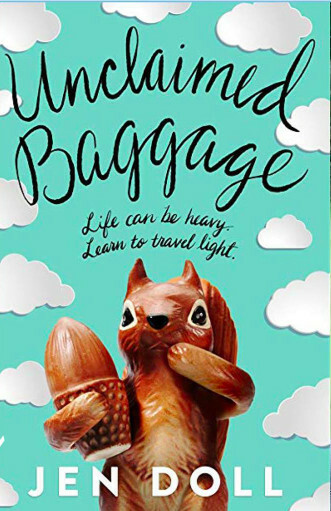 We will chat about her fantastic new young adult novel featuring a trio of teens who work at a store in Alabama that sells the contents of lost airport baggage—based on a real store! Who knew?! I want to go there! Together they find that, through friendship, they can unpack some of their own emotional baggage and move on into the future. It’s thoughtful, funny, feminist, and just plain good. Jen Doll has written for The Atlantic, Elle, Esquire, Glamour, GQ, New York Magazine, The New York Times Book Review, Vice, The Village Voice, The Week, and many other publications.